OEH would now be subsumed into a mega-department or “cluster” of planning and industry headed by Rob Stokes who previously held the role before being unceremoniously dumped during a reshuffle. Making sense is the merging of environment and energy, but how that works when these two functions will sit inside planning, is still an unknown and a worrying one when you look at the big picture and the priority drivers for government policy (below). Also dissolved would be the department of local government, to be also merged into Planning, and Urban Growth and the Barangaroo Delivery Authority with both these agencies transferred to Infrastructure NSW to be headed by Simon Draper as chief executive. Roads and Maritime Services would be merged into a transport cluster. Among the biggest of these new clusters would be an outfit that seems to come straight from Marketing Central, the Customer Service Cluster, under minister Victor Dominello. 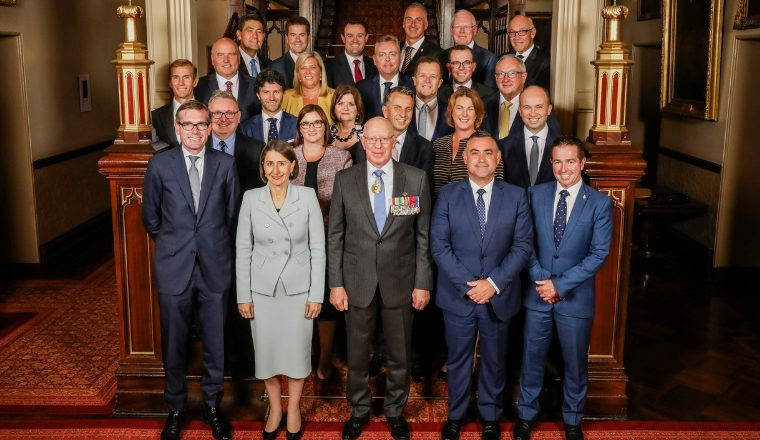 This new cluster will have the authority to “plan prioritise, fund and drive digital transformation and customer service across every cluster in the NSW government.” according to a circular sent by Tim Reardon, secretary for the Department of Premier and Cabinet obtained by The Fifth Estate. For the built environment, here’s a hint: On Tuesday afternoon Urban Taskforce’s chief executive Chris Johnson was happy and said the move signalled greater coordination, between infrastructure and planning. Balanced against that rosy view is that under its now former incarnation OEH issued dissenting views on plans from the department if they looked like they would be problematic for the environment or natural habitat. Will that continue and bravery prevail? It’s important to remember that the property industry has forever been demanding a more “streamlined” co-ordinated approval processes. Its heart’s desire is that it can eliminate the multiple agencies it needs to seek approvals from and get just one “yes”. It helps to remember that the Greater Sydney Commission has already been absorbed into the premier’s department where its strategic activities can be more closely monitored to align with government. The idea of a planning agency at arms length from government – the semi independence we lost years ago when planning became politicised – is further away than ever. Closer to government now is control of the very things that have loomed up to drive voters to distraction and motivate them to vote one way or another, the built environment and climate issues. Clearly, there was anger but not enough (and not enough talent demonstrated by the former ALP state leader whateverhisnamewas) to persuade voters to switch sides. On the recent changes the Premier hastened to assure voters that the subsuming of OEH into a giant planning department was a good thing. But acting leader of the Opposition Penny Sharpe said it was a betrayal of voters after Berijiklian promised a bigger focus on climate and the environment. NSW was now become the only state without an environment department, Sharpe said. “This is a terrible outcome for the environment of NSW and it’s a betrayal for [voters],” she told The SMH. Among urgent issues needing attention are more than 1000 plant and animal species threatened with extinction, an 800 per cent increase in land-clearing during the past three years, and waterways “that are in crisis”, she said. And Rob Stokes might be very talented and have a strong background in planning but he told the kids they should not have gone out on strike for the climate. It’s a good lesson. Like Stokes, Kean, Barillaro and Berijiklian may all be members of the moderates in the Libs, but all are conservatives and will likely put other issues ahead of climate and environment. This is a matter of history, especially recent history. Maybe the strategic thinking behind the creation of these vast new centres of government is not to get the best independent advice from the highly committed public servants, but to get the most streamlined outcomes that fit with the loudest voices in the corridors. In the face of a falling property market, it’s not brain surgery to guess that a big fear will be the state losing its AAA credit rating and that government will pull out all stops so that its biggest contributor to economic activity, development and infrastructure, is fast-tracked. The Chinese have departed our shores and the banking royal commission has put a spanner in the works for the finance sector, which had been fanning this recent boom with its ears pinned back. Now it’s time to find ways to re-stoke the property boom. Having all those pesky ministries and agencies muted or at least muffled inside one giant powerful portfolio would be a handy thing. Is anyone seriously suggesting that protecting the koalas can and keeping our water safe will stop the Harry Triguboffs of the world? A copy from the Victorian Model bottom line costs will rise. Nothing actually changes for community benefit. The controllers get bigger financial rewards, though. Local government and the environment now firmly in the hands of the big developers with the reshuffle…..Gladys’ Guvmint will go for broke as she realises this is her last term and the next mob will not be able to undo all the damage her mob has done and will continue to do. Gladys doesn’t have an environmental bone in her body. She is destroying the north coast and making it into an extension of the Gold Coast. God help us all! The humans are here and they’ll do as the please.